When most people are perfectly happy with their gasoline-powered cars. The reason is twofold: to reduce tailpipe emissions and to improve mileage. The current standards require that the average mileage of all the new cars sold by an automaker should be 27.5 mpg (8.55 liters per 100 km). This means that if an automaker sells one hybrid car that gets 60 mpg (3.92 liters per 100 km), it can then sell four big, expensive luxury cars that only get 20 mpg (11.76 liters per 100 km)! when a car pulled up to the gas pump lately and been shocked by the high price of gasoline? As the pump clicked past $20 or $30, maybe you thought about trading in car for something that gets better mileage. Or maybe worried that the car is contributing to the greenhouse effect. The auto industry has the technology to address these concerns. It's the hybrid car. You're probably aware of hybrid. Any vehicle is a hybrid when it combines two or more sources of power. This is an improvement over the electric car, which uses gasoline engine along with electric motor powered by batteries. In the series system of the hybrid car engine driven generator is employed to recharge the batteries while the electric motor drives the car. Where as in parallel system the heat engine is directly connected to the electric motor. The key to a hybrid car is that the gasoline engine can be much smaller than the one in a conventional car and therefore more efficient. We might wonder why anyone would build such a complicated machine when most people are perfectly happy with their gasoline-powered cars. The reason is twofold: to reduce tailpipe emissions and to improve mileage. The emissions standards dictate how much of each type of pollution a car is allowed to emit in to atmosphere. The amount is usually specified in grams per mile (g/mi). The low emissions vehicle (LEV) standard allows 3.4 g/mi of carbon monoxide. The key thing here is that the amount of pollution allowed does not depend on the mileage of the car gets. But a car that burns twice as much gas to go a mile will generate approximately twice as much pollution. That pollution will have to be removed by the emissions control equipment on the car. So decreasing the fuel consumption of the car is one of the surest ways to decrease emissions. Carbon dioxide (CO2) is another type of pollution a car produces. The government does not regulate it, but scientists suspect that it contributes to global warming. Since it is not regulated, a car has no devices for removing CO2 from the exhaust, so a car that burns twice as much gas adds twice as much CO2 to the atmosphere. Automakers have another strong incentive to improve mileage. They are required by law to meet Corporate Average Fuel Economy (CAFE) standards. The current standards require that the average mileage of all the new cars sold by an automaker should be 27.5 mpg (8.55 liters per 100 km). This means that if an automaker sells one hybrid car that gets 60 mpg (3.92 liters per 100 km). Any vehicle is a hybrid when it combines two or more sources of power. In fact, many people have probably owned a hybrid vehicle at some point. For example, a mo-ped (a motorized pedal bike) is a type of hybrid because it combines the power of a gasoline engine with the pedal power of its rider. Hybrid vehicles are all around us. Most of the locomotives we see pulling trains are diesel-electric hybrids. We have diesel-electric trains -- these can draw electric power from overhead wires or run on diesel when they are away from the wires. Giant mining trucks are often diesel-electric hybrids. The gasoline-electric hybrid car is just that -- a cross between a gasoline-powered car and an electric car. The below figure shows a gas-powered car. It has a fuel tank, which supplies gasoline to the engine. The engine then turns a transmission, which turns the wheels. an electric car, which has a set of batteries that provides electricity to an electric motor. The motor turns a transmission, and the transmission turns the wheels. 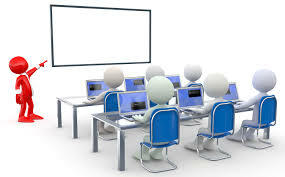 Generator.- The generator is similar to an electric motor, but it acts only to produce electrical power. It is used mostly on series hybrids. Transmission - The transmission on a hybrid car performs the same basic function as the transmission on a conventional car. Some hybrids have conventional transmissions. Others radically different ones. Start/Stop - When we turn the ignition key of the Hybrid car, the electric motor comes to life. The electric motor, in turn, starts the gasoline engine. The car then performs a series of checks to determine if it can switch to electric-only operation: It checks to see if the batteries are charged, if the operating temperatures are okay and if interior climate control settings are in the appropriate range (the air conditioning's maximum setting requires the gasoline engine to run). If everything checks out, the engine will then shut off, leaving the car running under electric-only power. This process only takes a second or two. When we come to a stop in the Hybrid car, the gasoline engine actually shuts off. The car runs on electric-only while you're at a stoplight or waiting in line at the drive-thru. The hybrid put a lot of effort into making the gasoline engine on-off cycles as smooth and seamless as possible, but testers reported a discernible shudder in the vehicle when the engine went on or off. This is common to all hybrid cars. Electric Drive - As the Hybrid car accelerates from a stop, it does so under electric power. Electric motors are good at generating torque at lower rpm ranges, so they're perfect for this purpose. At about 25 mph, the gasoline engine starts back up. If we are driving in heavy city traffic, we could go all day using only electric power. The electric motor and gasoline engine operate in tandem up to highway cruising speeds. Regenerative Braking - Whenever we apply the brakes on a car, the kinetic energy of the car's movement is dissipated as heat. In a hybrid car, the brakes take some of that energy and, using the electric motor as a generator, put power back into the batteries. This is why hybrids actually get better mileage in start/stop city driving than they do on open highways. Every red light recharges the batteries. Electric Assisted Cruising - At highway cruising speeds (roughly 50 to 70 mph or 80 to 110 kph), the gasoline engine does most of the work. It's most efficient at this speed range. But because the Hybrid car has a small, four-cylinder engine, it needs a little help when passing. When a speed boost is called for, the electric motor kicks in and adds its horsepower to that of the gasoline engine. The "Power Split Device" The power split device is the heart of the hybrid car. This is a clever gearbox that hooks the gasoline engine, generator and electric motor together. 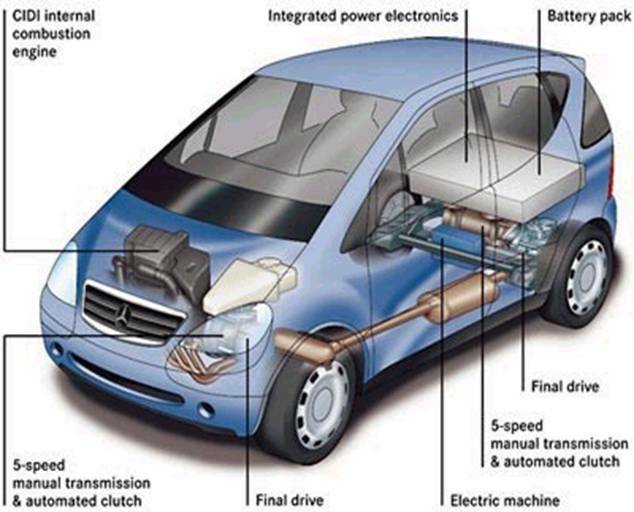 It allows the car to operate like a parallel hybrid -- the electric motor can power the car by itself, the gas engine can power the car by itself or they can power the car together. The power split device also allows the car to operate like a series hybrid -- the gasoline engine can operate independently of the vehicle speed, charging the batteries or providing power to the wheels as needed. It also acts as a continuously variable transmission (CVT), eliminating the need for a manual or automatic transmission. Finally, because the power split device allows the generator to start the engine, the car does not need a starter. 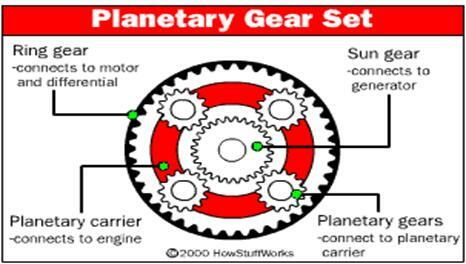 The power split device is a planetary gear set . The electric motor is connected to the ring gear of the gear set. It is also directly connected to the differential, which drives the wheels. So, whatever speed the electric motor and ring gear spin at determines the speed of the car. Over the past four years, more than 100,000 hybrids have been sold in the United States. Even though that's not a huge percentage of the more than 17 million new cars and trucks that are sold in the U.S. each year, it's enough of an incentive to get more manufacturers on the hybrid bandwagon. Analysts suggest that the market this year, alone, could muster up the sales of the past four combined. Three hybrid cars are now available at present -- the Honda Civic Hybrid, the Honda Insight and the Toyota Prius.